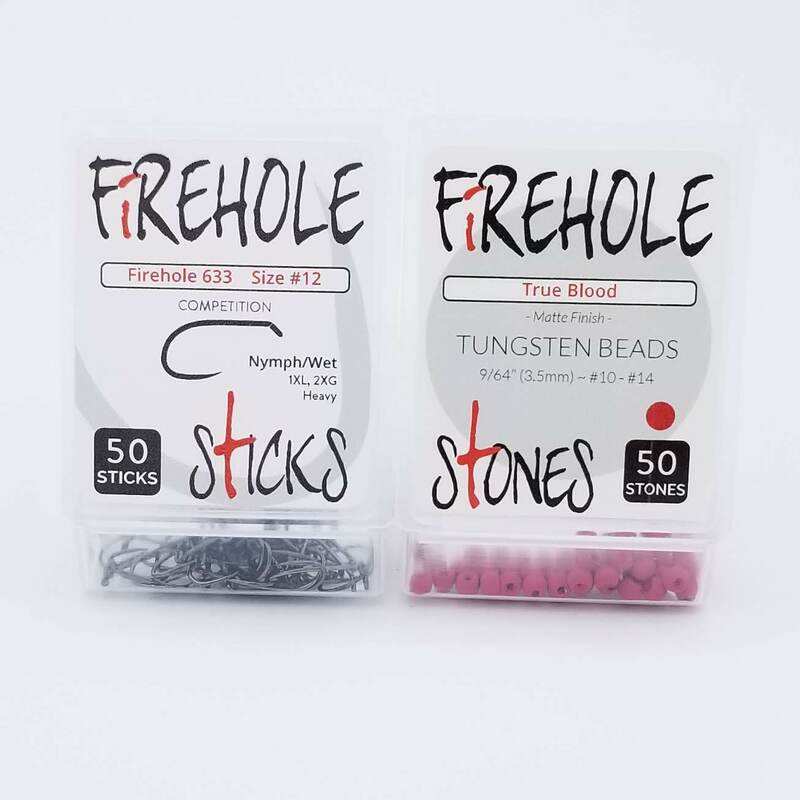 Currently, all Firehole Sticks & Stones are packaged in a polypropylene plastic box (2.4" x 1.8" x 0.6") which is designed so that boxes can be connected together side-by-side for storage purposes for the consumer. Each box contains fifty (50) individual hooks or beads unless otherwise noted. Each box is labeled front and back. The front label of Firehole Sticks indicates the hook model, size, shape and sizing descriptors. The front label for Firehole Stones indicates bead type, color, size, and suggested hook size reference. The back label of both Sticks and Stones has characteristic information. Note: Each box of Model 811 contains 40 hooks.